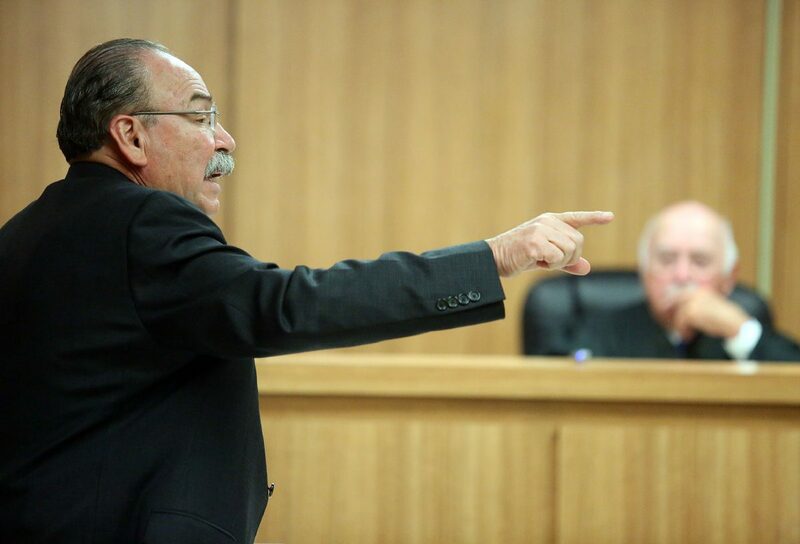 Lawyer for Armando O'Caña, Gilberto Hinojosa, points across the room as he argues with Ricardo “Rick” Salinas, lawyer for Norberto "Beto" Salinas, during the Mission election contest trial, challenging the results of the mayoral race, in Master Court No. 2 in the Hidalgo County Courthouse on Monday, Sept. 24, 2018, in Edinburg. EDINBURG — On day one of the trial for the Mission election contest, attorney Ricardo “Rick” Salinas revealed the Texas Attorney General’s Office was also looking into allegations of illegal activity during the Mission mayoral runoff in June, in which his father, Norberto “Beto” Salinas, was unseated after a 20-year tenure as mayor. The office of the Texas Secretary of State referred complaints about the runoff to the AG’s office in a letter dated Sept. 4. The letter — penned by Keith Ingram, director of elections of the secretary of state’s office, to David Maxwell, the director of law enforcement at the AG’s office — states that the secretary of state’s office received complaints about the runoff alleging violations of the election and penal codes. Witnesses are sworn in by visiting Judge J. Bonner Dorsey during the Mission election contest trial, challenging the results of the Mission mayoral race, in Master Court No. 2 in the Hidalgo County Courthouse on Monday, Sept. 24, 2018, in Edinburg. 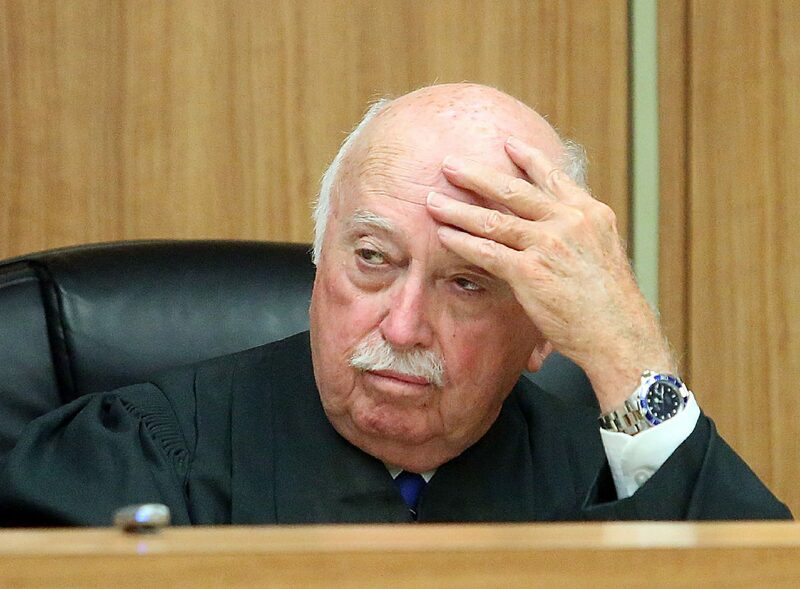 Noberto "Beto" Salinas listens to arguments during the Mission election contest trial, challenging the results of the Mission mayoral race, in Master Court No. 2 in the Hidalgo County Courthouse on Monday, Sept. 24, 2018, in Edinburg. Lawyer for Norberto "Beto" Salinas, Ricardo “Rick” Salinas, argues over rebuttal witnesses being in the courtroom during the Mission election contest trial, challenging the results of the Mission mayoral race, in Master Court No. 2 in the Hidalgo County Courthouse on Monday, Sept. 24, 2018, in Edinburg. Patty O'Caña, co-counsel for Armando O'Caña, reacts during the Mission election contest trial, challenging the results of the Mission mayoral race, in Master Court #2 in the Hidalgo County Courthouse on Monday, Sept. 24, 2018, in Edinburg. Lawyer for Armando O'Caña, Gilberto Hinojosa, reacts during the Mission election contest trial, challenging the results of the mayoral race, in Master Court No. 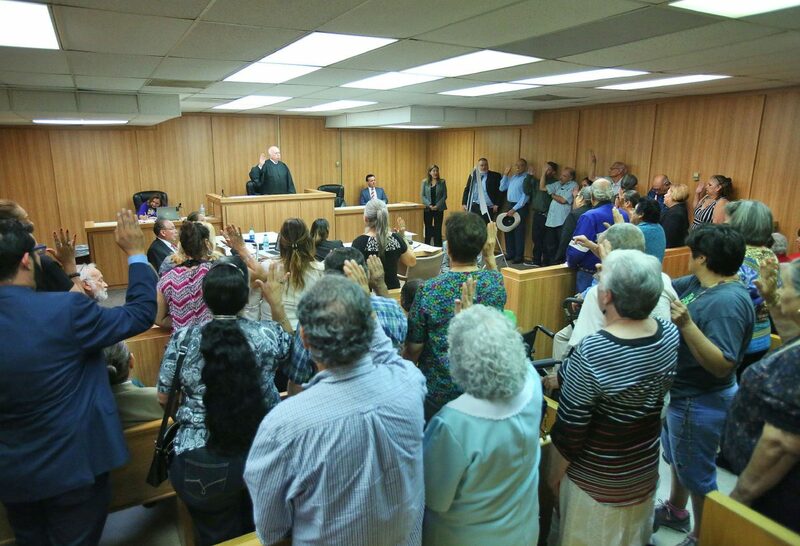 2 in the Hidalgo County Courthouse on Monday, Sept. 24, 2018, in Edinburg. The revelation was made amid arguments Monday morning over the appearance of current Mission Mayor Armando O’Caña, who’s election in the June mayoral runoff is being challenged in the contest. 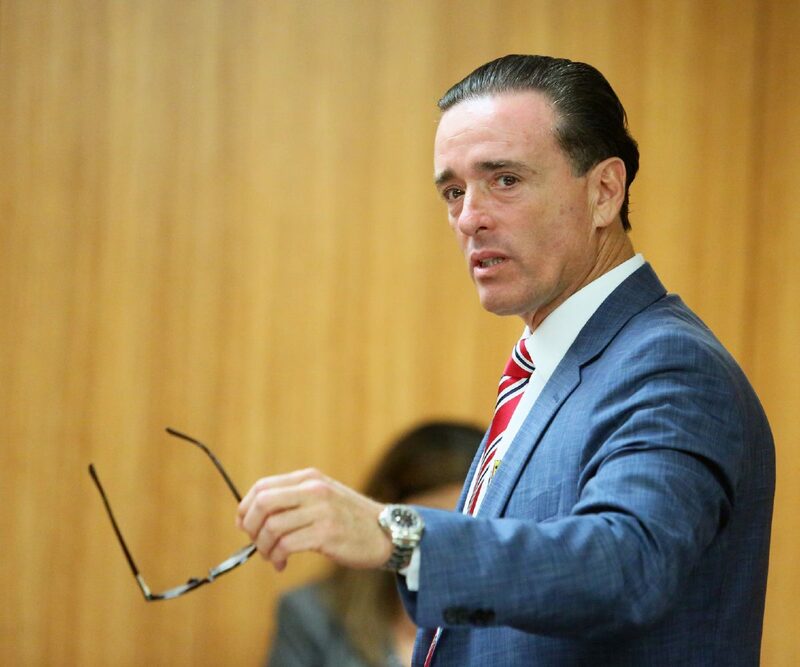 During the first day of trial, O’Caña was absent due to a death in the family, according to his attorney, Gilberto Hinojosa, who said he would have the mayor in court by Wednesday. His absence, however, frustrated Rick Salinas, who intended to call O’Caña as the first witness. After much arguing over the schedule of the proceedings, Judge J. Bonner Dorsey pushed the trial to Monday afternoon. The first witness, Jesusa Marin, upon questioning by Rick Salinas, testified that she always voted in person but this year, two women came to her home and said they’d help her and her husband vote by mail. Marin said the women, one of whom was identified as Esmeralda Lara, took Marin’s ballot and told her they would take care of everything. Under cross-examination by Hinojosa, Marin said she canceled her and her husband’s ballot and they instead voted in person. She told Hinojosa they were assisted by a woman who worked for Beto Salinas’ campaign, but that she did vote for her intended candidate, being Beto Salinas. Much contention surrounded the next witness, Maria Muñoz, who testified that her son delivered her absentee ballot. 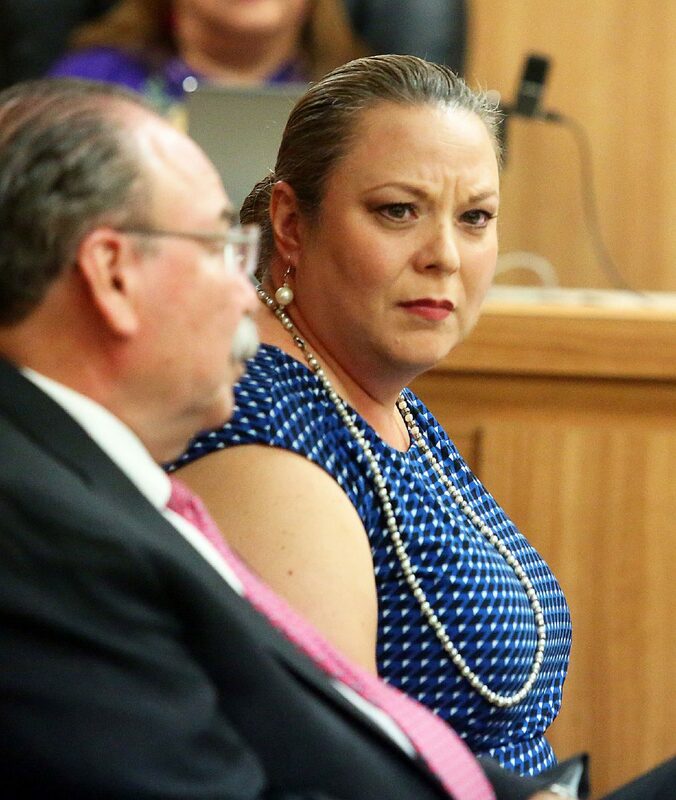 However, an investigator for Rick Salinas’ legal team, Raul Cruz, testified he had interviewed Muñoz for the case and she told him that Lara had come to her home with a ballot, filled it out and mailed it for her. Cruz also testified that he saw Lara speak with Muñoz in the hall outside the courtroom but didn’t know what was said. 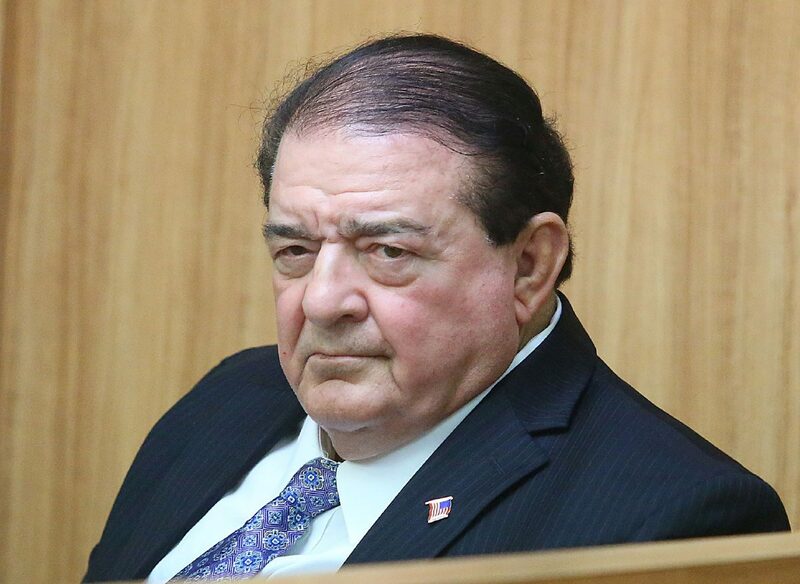 Through Cruz’s testimony, Rick Salinas tried to establish that Lara somehow convinced Muñoz to change her story for trial and began to play an audio recording of Muñoz’s original statement to Cruz in court. However, the 92-year-old woman had trouble recognizing her own voice in the recording. 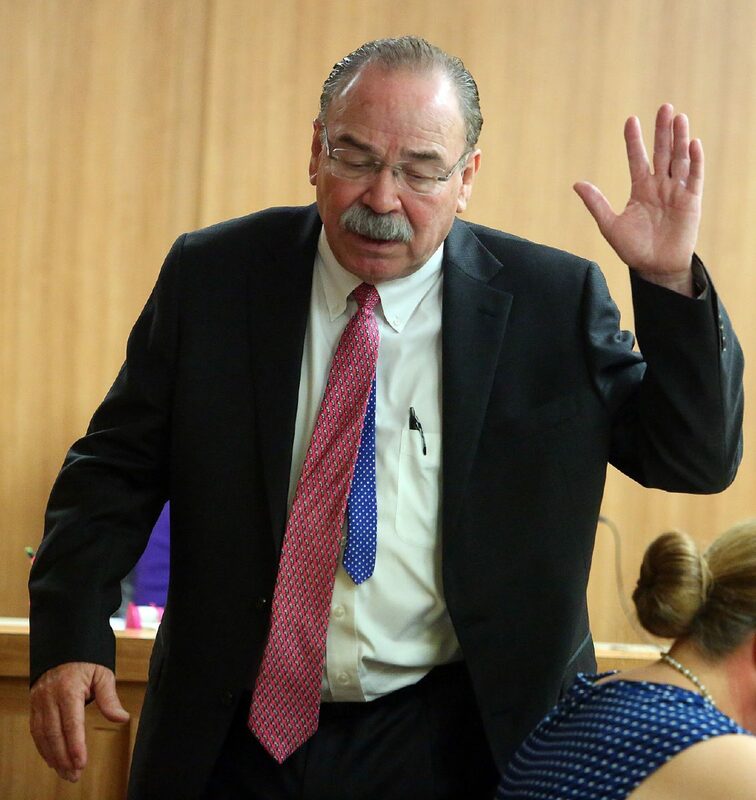 Rick Salinas insinuated he would recall Muñoz to the witness stand. Other witnesses included a general sales manager at a Mercedes-Benz dealership in Pharr, Samuel Tijerina, who testified that a relative of O’Caña’s rented a Sprinter van from his side business. Tijerina said he believed the van was used to shuttle voters to polling places. Questioning for the last witness for the day, Samuel Deckard, never got underway after Hinojosa insisted Deckard be read his rights. Hinojosa said he believed Deckard was about to testify to accepting bribes in exchange for votes, possibly exposing him to felony charges. After the judge read Deckard his Fifth Amendment rights against self-incrimination, Deckard appeared to back down. After speaking with Rick Salinas, Deckard agreed to mull over whether he wanted to testify after all and the court recessed for the day. The trial is scheduled to resume Tuesday at 9 a.m.